Pip is still astonished that Drummle has toasted an “Estella” at the Finches meeting. (I gather that this means it’s the name of the lady they are interested in courting, or maybe already courting.) Pip askes “Estella from where?” From Richmond. So, there you have it. It is the very same Estella! Pip, red in the face, challenges Drummle to a dual of sorts. Mainly they continue arguing, with everyone getting involved. Pip does not believe that Drummle knows her personally. Drummle is to bring in a note from Estella to show proof of their relationship, if there is one. The very next day, Drummle produces said note and Pip is forced to apologize in front of everyone. 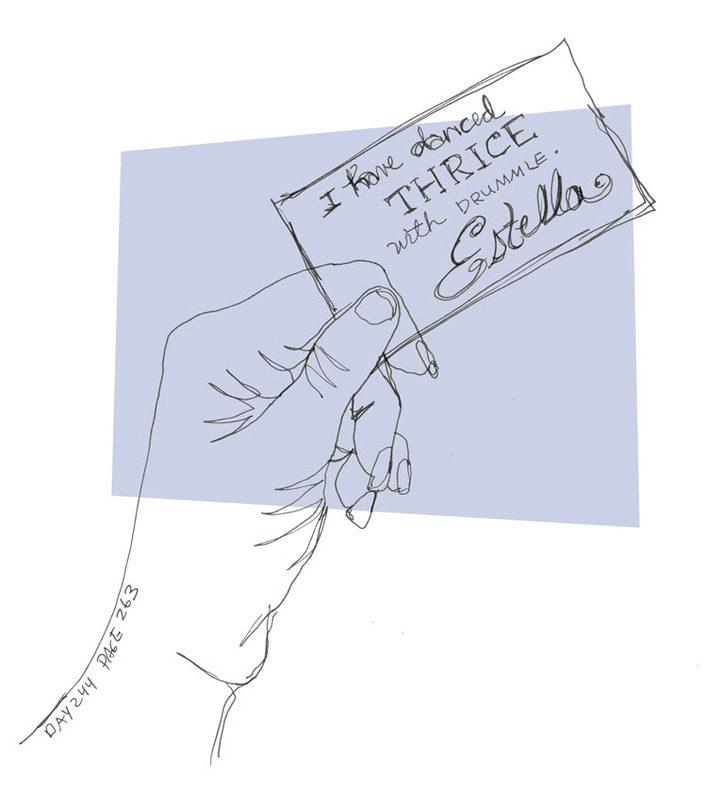 The note is in her handwriting and announces that she has danced several times with Drummle. Pip has to regret his remarks and sits snorting at Drummle the rest of the night.